Some people look at a room as a launching point. 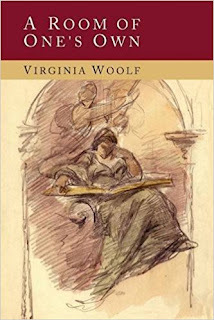 A Room of One’s Own is the name of a series of essays by Virginia Woolf and the title connotes a certain integrity of being. But many travelers to Rome regard their digs as merely the equivalent of a tent at a campsite. To them it’s merely a place to sack out. That can be a big mistake since one of the most sublime pleasures of visiting one of the great tourist meccas of the world, a virtual ode to antiquity itself, is to stay holed up in one’s room and just look out the window. It’s nice if you are on the Gianocolo and you overlook St. Peter’s, but no mind if you’re simply facing a brick wall. There’s something special about making a long journey to some place where everyone is rushing to accumulate as many memories as possible and simply refusing to go anywhere. It’s a test of one’s mettle. Can you simply be sitting at some makeshift desk or lying flat on your back staring at the cracks in the ceiling with your hands folded behind your head, while your friends are photographing relics? There’s another Rome that's there for those who don't like to sightsee. It's a Rome of sirens wailing in the streets and plumbers talking loudly as they repair a pipe in the hallway outside your door, the Rome of solitary telephones which wouldn’t connect to reception if you wanted them to and then finally the Rome of buses filled with impatient sightseers whose idling engines make it impossible to get that once last wink of early morning sleep.